Your sign is your marketing link to everyone who passes your business. Does it have the best image possible to represent your business? 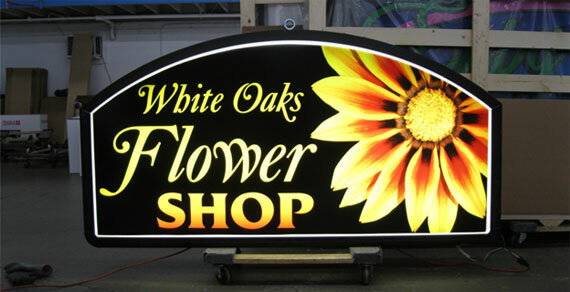 Outdoor electric signs are used for identification, naming and branding purposes. It not only shows the name of your business, but it should also communicate what your business DOES or SELLS - in a compelling way. Signs that have nothing but words, words, words on them don't communicate anything to potential customers. These types of signs are lost in the jungle of thousands of other signs that look just like them. You need a sign that really WOWS people when they see it. The purpose of your sign is to make people TAKE NOTICE so they either walk in to your business that very moment or keep your business in memory so the next time they need your product or service they will remember who and where you are. We as human beings think and remember in PICTURES. Remember the old Coppertone billboards? 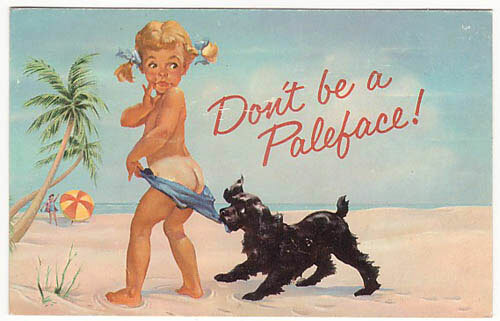 You certainly can remember the iconic image of the dog pulling down the britches of the little girl showing her tan line. But do you remember what the advertisement SAID? Not many can. Our signs take the same concept of well-designed advertising in order to get people to notice them and take action. We use large pictorial graphics that catch the eye and make people understand what the business does in SECONDS. That's about all the time people have when driving by a business anyway, right? In the sign above you already have a pretty good idea of what this business does at a glance without even reading the text on the sign. When it comes to outdoor electric signs there IS a difference. Not only in design but quality craftsmanship as well. Be sure to visit our "Sign Construction" page to learn how our signs are the best made and our incredible 10 year warranty on all sign faces, regardless of the damage to them!